So if we take Fellani for example with that description, he doesnt move much at pace but has 19 balance and 18 strength, and 13 pace, so he is a beast in the ME. Wouldn't his strength be a better focus than balance as he is very physical on the spot or in the box challenging for headers? With his jumping reach, he is dominate the majority of the time when he really isnt. I do agree and i said it many years ago that the smaller lower gravity players in england have always had poor balance rating. I was always under the impression it was indeed how well they kept their balance when under a challenge, side by side rather than a defensive attribute. As you say this combined with strength should define a players perceive ability when driving with the ball in and out of challenges. To me MU just seem over physical and over powered in key Mental and Physical attributes which make them a dominant force in game. They are still top in my save by a margin. Whatever the ME has focused on to emphasize certain physical attributes, i think MU need a tweak as the clearly are over performing. Im not sure collision detection is within the ME as yet but when it does, physical attributes along with key mental attributes will be the over powering attributes. To see how OP MU are, add the following attributes to your squad view. BALANCE, STRENGTH, CONSISTENCY, WORK RATE, TEAM WORK, LEADERSHIP. DETERMINATION, TACKING. They are just too high when comparing the other teams in the league. But enough said, we will see if it gets amended in January as its too late now. I will be tweaking fairly some of them. Interesting. I was always under the impression that Alli is a pretty zippy runner. Pace at 33 km/h isn't really fast though, but I agree that 11 Pace seems just a tiny bit too harsh. Pace 11 isn't slow. It's faster than the average professional footballer. Dele's always whinging about his speed in FIFA, doesn't deserve an upgrade imho. In all seriousness, this has properly cheered me up, thank you! Alisson's wage looks pretty low at £76k/week. I've been in tears a lot today, being a Leicester fan the things Vichai has done for us is incredible. Thanks for the support. Firmino's teeth brightness looks a little low at 19. Yeah I'm not sure what are these researchers trying to achieve by making these snide remarks when being given constructive feedback in good faith by the paying customers. Seriously though Nick, do you not think this year you have retained too many of the very high key attributes for that player in that position and not balanced out the player or distribute the attributes out more evenly? You know as well as i do that you can still retain the majority of CA (if your worried about that) if you moved a few high rated attributes and use the pts to up the very low attributes. Some i have noticed and tweaked hasn't resulted in a drop at all. Some attributes dont hold that much weighting but look better on that players profile and more importantly perform in game without being OP. Its your team of course but when comparing yourselves with Man City and Liverpool; who both in my opinion show more team ethic, work rate, decision making, anticipation, positioning yours comes out on top. I would have liked to see the results of the top 16 players average key attributes for the top teams that i requested to Pete, but not being in the loop ill have to do it the hard way and these posts have come from seeing and comparing and sorting each teams attributes. I feel ive made some fair points to be honest and all i want to see is the game balanced. 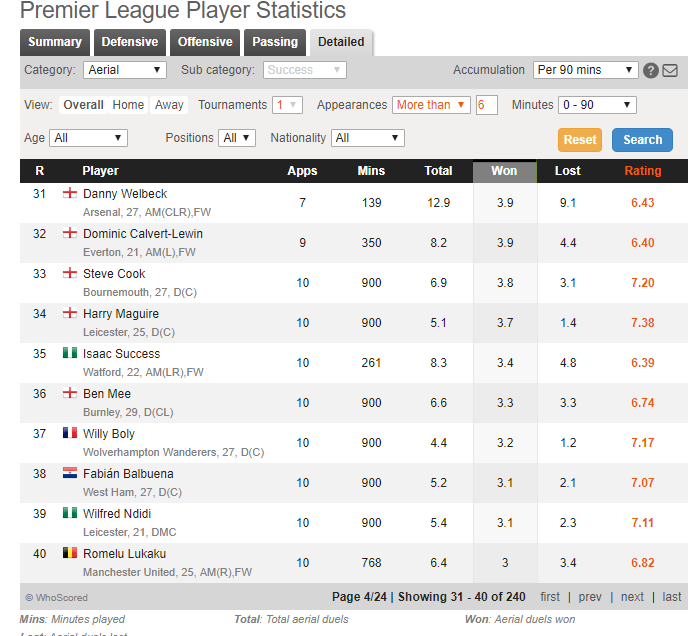 Perhaps Mourinhos management of players stats can come down and perhaps a few more disliked players. Id be interested in your opinions as its always better to understand your views and your thought process. As i said its a difficult situation as we dont know if you did get a new manager what would they bring to the party. Just look at us now, with more fight and determination, all from some clear concise direction. I'm waiting for a response from Pete on this, unfortunately I didn't get my email in before the data lock so I'm not yet sure what the situation is (we'll keep everyone updated of course). Obviously without knowing what happens to the club going forward, I'm assuming we'll have to guess that Top inherits chairmanship for now (presents a challenge with his involvement at Leuven too). I'm also hoping we can get Khun Vichai added to the favoured personnel section at some stage, probably as a club icon. Without going too off-topic your words are much appreciated @neilpt7e. I'm nothing but devastated watching Top come out with the wreath this afternoon. A lovely family; a superb, passionate and driven board; and a brilliantly well run club torn apart in grief. Talking of Wan-Bissaka, for me his stand out attribute should be his tackling. The stats behind it are superb for a lad who has barely played senior football. I get why people are saying don't get carried away etc (i'm not suggesting he is going to be the best right back ever etc) but he is by far Palace's best RB. 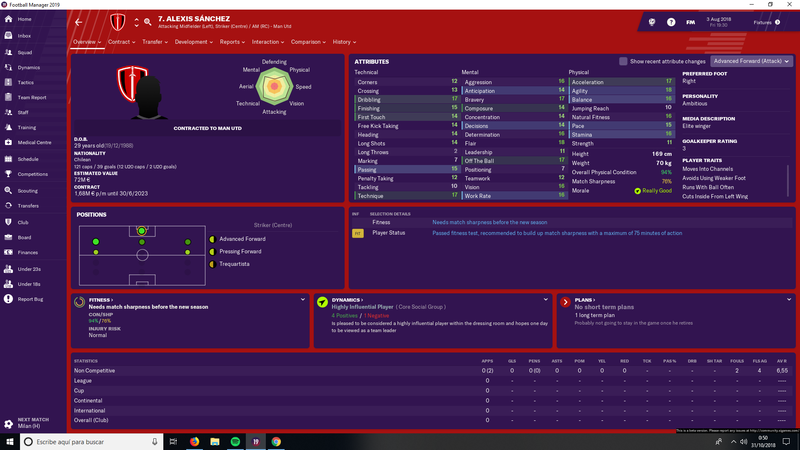 I'm personally not too impressed by FM19's charecterisation of AWB. Although I appreciate they have at least upgraded him from FM18, I don't think they've done him justice. If fmdB is to be believed his PA is pretty basic too. That said, having high tackling statistic (aka making a lot of tackles) doesn't necessarily mean you're good at tackling. A more representative stat would be tackle success rate. Even then there is room for error. I'd suggest pace, acceleration, dribbling and tackling upgrades. I hope for a winter upgrade (not that that will help me in my current save). 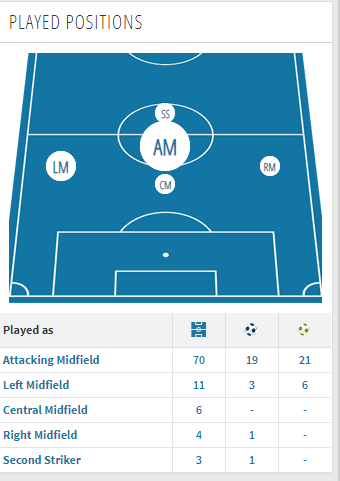 @SL19 I'd be somewhat wary of the usage of these, because a few years ago someone made some serious arguments in favour of an Arsenal midfielder based off of pretty much the exact same thing. And with the stats there in front of you like that it can look truly compelling. The only problem was, on every metric they had used when I went and checked Glenn Whelan (initially from idle curiosity, because it was an interesting thought to look at the statistics of players for in game data) he had massively outperformed the said Arsenal player in those same metrics. They are useful, but limited in scope. He's made more tackles than any other player since February, but has he played every game, and how many games have his peers played? He has made more since February, but Idrissa Gueye has made more this season. It's very tricky to make arguments based on these kinds of metrics because you can find stats that will generally suit any argument. To make an example of this, if say I pick Solly March at Brighton, he's managed to block 8 crosses compared to Wan-Bissaka's 3. I've deliberately picked an area where it looks more negative than it really is. March has more total blocks as well, they don't show all that much. Compared to say a player at Man City, then of course a Crystal Palace defender is expected to be making far more tackles. Man City don't have to defend as much. @santy001 makes some valuable points regarding the way we treat certain types of performance data. That said, with the aid of the Palace researcher, we have revised Wan-Bissaka's profile since the release of the beta version, to better reflect his ability. @DaveCity @tomlcfc We're all deeply saddened by the news of Vichai's death, and pass on our heartfelt sympathy to all those who will feel the loss keenly. It is hard to have to think in terms of how this will affect FM, but please be assured we are considering very carefully how to reflect Leicester, in-game, and will endeavour to do so with the utmost respect to the memory of Vichai. Thanks for that, @CEVR1996 , that is a result of a player history line entry error. Apologies, I'll get it changed in the database, though I can't guarantee that it will be in the release version of the game. No worries, its a minor error anyway and I actually had to search on transfermarkt just to be 100% sure. Its only a small incovenience for those who want to manage Tottenham because I'm assuming Llorente would be one of the first players to be put on the transfer list. This sounds like it could use a fix if it's happening regularly. United board is fairly patient IRL, but Mourinho should be starting with a fairly low level of fan support and a slightly-below-the middle board support so he needs to deliver on his expectations to keep his job. 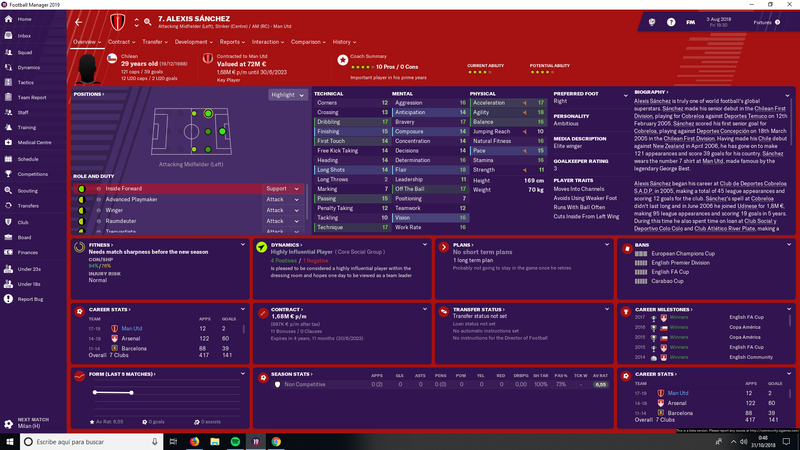 Hi Iwobi has 5 goals for Nigeria 2 against Argentina and 1 v England in the warm up game (cant remember the other 2 sort of relying on wiki) But yeah It says he has none on Fm plus he must start with 4 caps because he played 16 internationals since I started and hes only on 20 in my 2nd season. Thanks, @jere_d - that is an error on our part. I've updated Iwobi's profile, but it might not make it into the release version of FM2019. Liam Coyle on Liverpool FC U23 must have a wrong passing rating. He only has 1 in passing, and that's not possible. Not really Premier League related but I found it as a result of West Ham. It doesn't fit into any other category. Peter Storrie is a free agent and is listed as a Coach. He is not a coach and never has been. He is a fairly controversial former director at West Ham on one of our worst ever boards. I remember him cropping up at Portsmouth once also. Wikipedia reckons he is currently at an Australian team? Maybe out of date? His history on FM shows that he was once at this Australian club also. Thanks, @frankthetank87 - seems that the virtual Storrie has been given a job as coach, randomly; I'll see if I can get him removed from the game. You're right, Nathan Ake (1.8m, JR 15) is way beyond the recommended maximum rating for a player of his height. Simon Francis (1.83m, JR 12) is above average within the recommended limits. Number of headed clearances will take into account a number of attributes, like Bravery, Anticipation, Strength to fight off opposing centre forwards etc. Thanks @swansongs - I'll sort Aké's Jumping Reach attribute, in the database; I can't guarantee it'll make it into the release version of the game. Two things. 1) My skipper is on holiday or at the world cup and yet it still asks him to welcome new players to the club. 2) Birth Places Stornoway is misspelt Stornaway. @Mcjingle - thanks for those; I'll pass the holiday anomaly on to the coding team, and change the spelling of Stornoway, in the database (may not make the release version of the game). @enigmatic @pauly15 - thanks; we've made adjustments in Mourinho's profile that should help, in that respect. Bergström, born 5/9/02, is too young for inclusion in FM19. Thanks for the response. AWB’s attributes haven’t changed from the beta in the latest update (19.1) - Am I missing something or is this change going to be effective from full release? Alexis Sánchez doesn't seem to have a natural position. 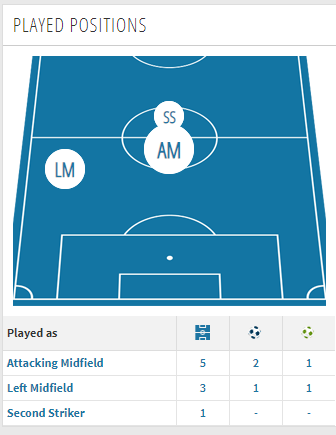 I mean, the game says he's an "attacking midfielder (left)", but he's not completely fit for that position - that is, the green circle is not completely green regardless of whether you make him play as winger, advanced playmaker, inside forward, trequartista, wide target man or raumdeuter. The thing gets even worse if he is to play as a striker. Maddison should be more comfortable playing on the left wing. Currently he is suited to RW in the game. Another thing is Chilwell has been one of the best LBs in the league this season and rightly pushing to be a regular in the England squad. I think small increases to some stats would be fair. His slide tackling is stunning at times. His stamina is one of his best attributes and his pace didn't look too shabby vs Bellerin at the weekend. 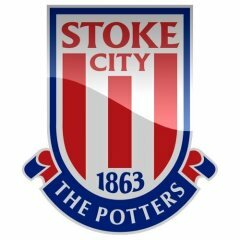 Technique could go up as his touch is very good and is starting to take free kicks recently. That is lower than I requested. The Roma researcher had him down as £59k per week and I asked for that to be increased to £85k. I'll have that checked. He is set as "Natural" position for AML (20 out of 20), and striker (18). We always set a player with one position (sometimes more) rated at 20. The "roles and duties" are not the same as the position. In the database, we set the position. The game then works out, from the player's individual attribute ratings, what roles/duties it thinks that he would be best at. It is not vital that that those circles are completely green. @SD - thanks very much for that. Since the initial launch of the beta, AWB's attributes have improved, but not over the last couple of days. Please tell me the value of the attributes that you believe that we should still revise (sorry if I'm asking you to repeat yourself, here). Thanks, @mskruba12 - we have his full name as Jon Gorenc Stankovic; is that not correct? Thanks @Sandeman for the comments, From what i observe he is quick, but his acceleration is perhaps not what it used to be. Once he gets to top speed though he can beat most defenders for pace but definitely not all. I agree with you re strength, he seems to be using his strength in a much more effective way this year as well. The data is locked now so we can't make any major changes to the game but i will definitely reconsider this for the winter update. Possibly I've got lost in the levels of iteration I didn't see any change but obviously you must be right. Perhaps they were too subtle for me to notice. When I get to my computer I will review it. Thanks for the response again. I would've thought it'd be more like £120-£150k, roughly based on AOC and VvD? Wasn't Alberto Moreno meant to have a review in some of his attributes? I believe he is still exactly the same as before, so still a bit overrated imo but if the data is locked now for the release, there isn't anything that can be done about it now. Lukaku's first touch and technique are too high as well, mainly the first one. Could argue that Bellerin's marking and positioning should be one or two points lower, same for his acceleration and his stamina one or two points higher, maybe his crossing could go up by one as well and does Aubameyang really deserves the 20/20 on acc and pace at this point of time? Anyway, I wont touch this subject again, dont want it to look like I'm hating on those players or anything really, its just for the sake of realism and accuracy, something the game praises itself of replicating and does a good job at it for the most part. You could argue that, yes, but I would disagree. Please use the in-game editor to make the changes if it is hindering your personal enjoyment, these are very marginal changes you are suggesting. does Aubameyang really deserves the 20/20 on acc and pace at this point of time? - Agreed on Maddison; Pete has dealt with this, thank you. - Jumping reach is a complicated one, we have a table based on player heights etc. to calculate it. I've not got access to the guidelines right now but I'll check later and get back to you.